In March 2018, Alabama legislators passed and signed into law Senate Bill 293, which amends Section 32-6-212 of the Code of Alabama 1975. It thus changes state requirements for mobile home dealers and manufacturers that want to issue temporary license plates and registration certificates for mobile homes which will be officially registered out of Alabama. The amount of their mobile home dealer bonds is now increasing. The bill also introduces the same rules for dealers and manufacturers of semi-trailers, trailers, and utility trailers, as well as of boats and boat trailers. They now need to post a surety bond similarly to home dealers and manufacturers. Below you can find the essential changes brought by the new Alabama law. Previously, Alabama mobile home dealers and manufacturers were required to post a $5,000 surety bond and maintain a net worth of $25,000. The same rule applied for trailer coach, travel trailer, and house trailer dealers and manufacturers. The bonding requirement is a part of getting the right to to issue temporary license plates and temporary registration certificates for vehicles which are going to be permanently licensed in another state. With Senate Bill 293, such dealers and manufacturers have to obtain a higher surety bond amount in order to issue plates and certificates. It should be as the rest of auto dealers – $25,000. The rule is set in Section 40-12-398 of the Code of Alabama 1975. The bill also subjects manufacturers and dealers of semi-trailers, trailers, and utility trailers to the same requirements as the rest of dealers and manufacturers mentioned above. Manufacturers of boats who operate a manufacturing, constructing, or assembling plant in Alabama are also included in the same bond requirement. They have to provide a $25,000 if they would like to issue a temporary license plate and registration certificate for boat trailers to be used to transport manufactured boats to other states. Entities bonded under another law do not need to get bonded again. 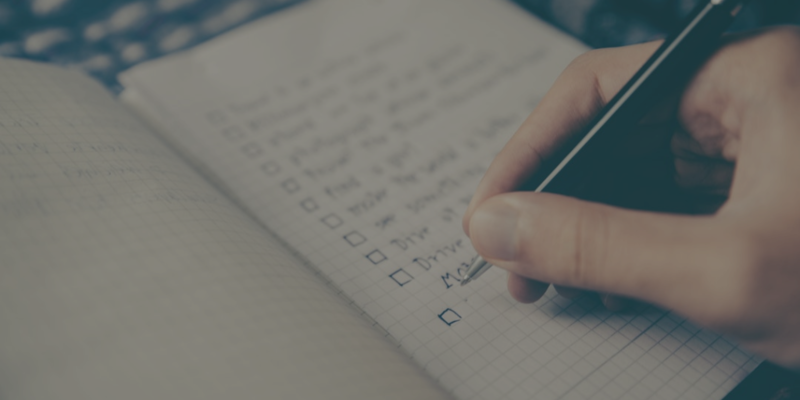 For vehicle dealers and manufacturers who haven’t been bonded before, it’s important to understand how a surety bond functions. It is, in essence, an extra layer of security for the state and the general public. It ensures your legal compliance with all applicable state rules. It can be used to obtain a compensation for potential illegal activities that you have committed that have caused harm to third parties. In order to get bonded, you have to cover a small percentage of the bond amount you are required to provide to state authorities. This is your actual bond cost, which is called the bond premium. In the case of Alabama, the requirement is $25,000. This means that you may have to pay only 1%-3% of this amount, or around $250 to $750. The exact bond price that you have to cover depends on your personal and business finances. Your surety will consider your credit score, as well as financial documents, assets and liquidity. That’s how it can measure the level of bonding risk, and thus decide on the percentage that will represent your bond premium. 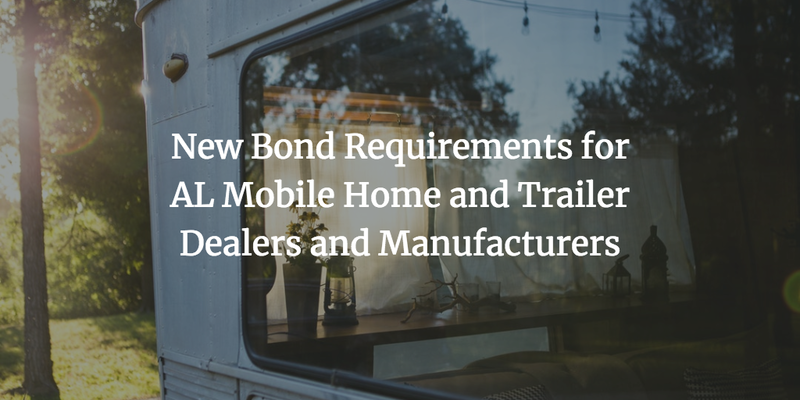 Do you have questions about obtaining your bond as a dealer or manufacturer of mobile homes, trailers, and boats? We’re here to help. Just reach us at 877.514.5146.